I love my DIY vest. Love. Love. Love. Why, because I can wear it with anything, and with the frigid tempts and blizzard over blizzard here in the northeast, I have worn it over and over again since I made it! Warm, and stylish. Exactly what I need! One of my favorite ways to wear it belted over a patterned long sleeve (flannel, stripes or polka dots! ), with skinny jeans and boots. Casual, warm, and super cute. 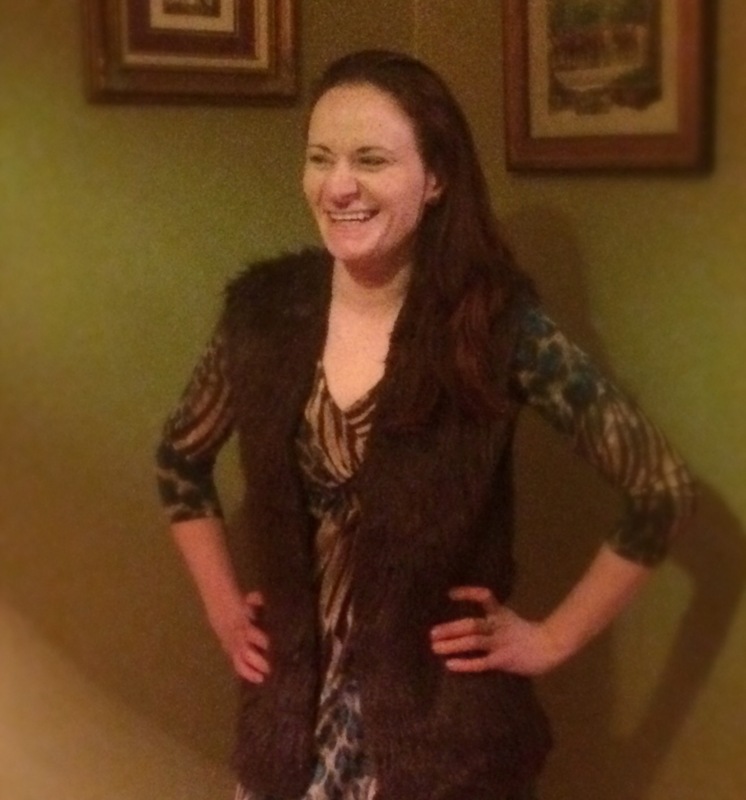 I though, am not exactly “casual” by nature, so how exactly can you dress up your fur vest? By actually wearing it over a dress! 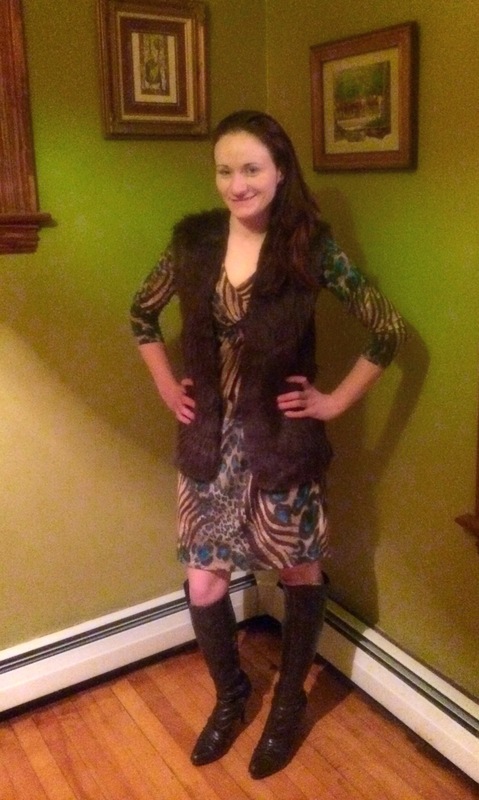 Dresses tend to spend a lot more time hanging in the closet in the winter months because they can be hard to make temperature appropriate, but by pairing a dress with boots, and your vest, you just made the outfit a lot warmer and more seasonable. So expand with that fur vest, and try wearing it over different elements, especially over that dress you have been dying to wear out.